This is a summary of a useful study by Tim Foster. It was actually titled “Predictors of Sustainability for Community-Managed Handpumps in Sub-Saharan Africa: Evidence from Liberia, Sierra Leone, and Uganda,” but as usual I find the reasons for failure useful to share. The study was published in 2013, but I’ve found that some people who are interested in this kind of rigorous analysis have not heard of it. So I’ve summarized the findings below, in plain English. If you prefer the statistical language please see the original paper. Comprehensive water supply inventories were created by the governments of Sierra Leone, Liberia, and Uganda, with the support of development partners. a new phase of RWSN is on the way…..
RWSN is not a formal organisation, more of a shared idea. 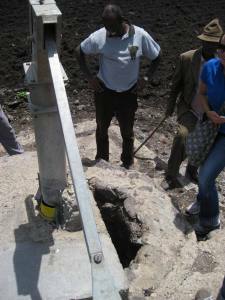 In 1992, the network was founded as the Handpump Technology Network (HTN) with a narrow focus on.... handpump technology. 22 years on, and this small group of engineers from the Water & Sanitation Program of the World Bank, UNICEF, Skat and the Swiss Agency … Continue reading a new phase of RWSN is on the way…..